This year marks the 13th Annual Metro Cruise – West Michigan’s Premiere Auto Cruise and Car Show. Our Grand Rapids South location is in the heart of the cruise festivities! This is the 4th year we have celebrated car art in our gallery space during the Metro Cruise event. 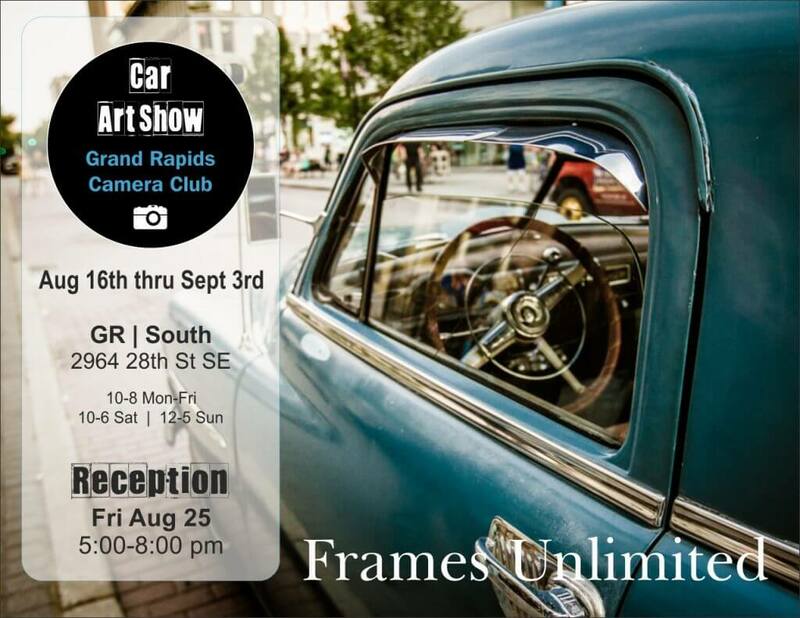 This year we are hosting the Grand Rapids Camera Club and their lens-based car artwork. This local photographer collective features: Kelly Walkotten, Michael Koole, Diane Durand, Diane Charvat and Joy Hein. Join us Friday August 25th from 5 to 8 pm for our Artist’s Reception at our Grand Rapids South location.